Patron XO Cafe is produced and blended in the state of Jalisco, Mexico. Jalisco is known for producing the finest tequila in the world. Patron XO Cafe is created to very exact specifications by a small family owned distillery. The owners are known to produce some of the highest quality Agave tequilas of their type. Patron XO Cafe originated from a very unique blend of XO Fine tequila and pure natural coffee essence. 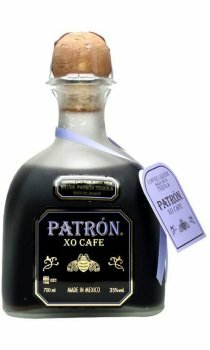 Patron XO Cafe has tremendous versatility and Patron believe it is the finest tequila coffee liqueur. I had to try it as a coffee addict. The coffee mellows the tequila, but the tequila gives it a kick. Smells strong but the taste is very smooth. Absolutely delicious. Excellent smooth tequila blended with fine coffee that doesn't overpower the distinct tequila taste, a must have for tequila fans.